PHUKET: It’s been a long, hard and painfully-problematic slog, but it looks like Phuket will finally have roadside recycling stations from as early as the end of next month. Steve Meyers points out one of the six recycling points in Kamala. Supasima Sangwan models the type of vests that she and other volunteers will wear whilst educating people on environmental issues. The group, united and strong. 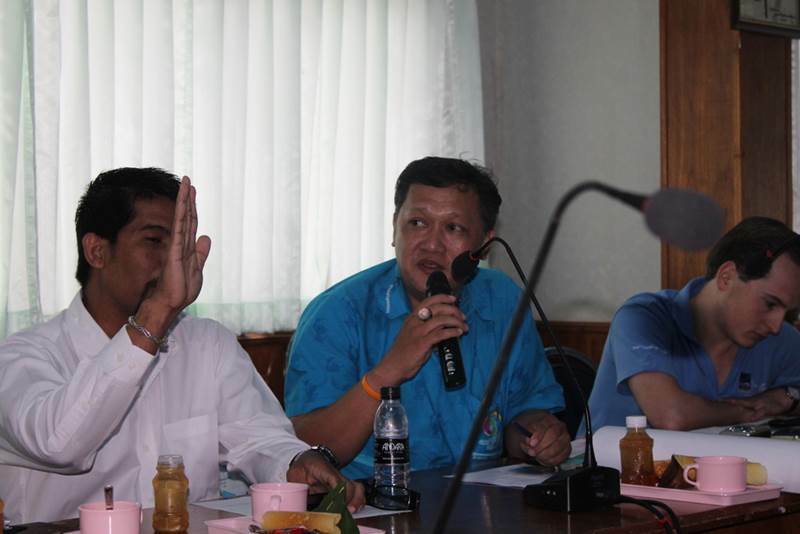 Chat Sampon, an officer from the Phuket Provincial Environment Office expresses his concerns. A recycling station already in use in Kamala. 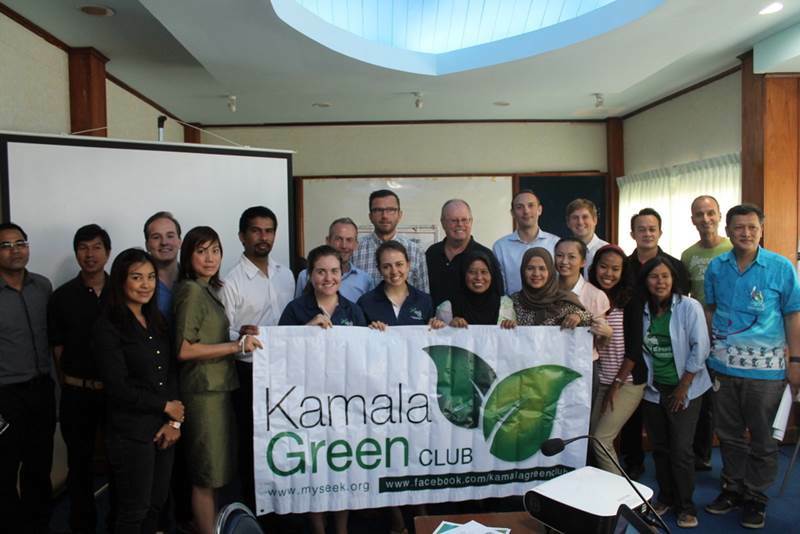 A meeting was held at the Kamala Administration Office on March 22, attended by representatives from hotels in the area, environmental groups, volunteer agencies and – importantly – government representation in the form of the Phuket Provincial Environment Office. Nick Anthony, a member of the Kamala Green Club environmental group said, “Today is all about agreeing upon the budget and seeing who can help. Discussed during the meeting was costing, funding, and division of labour. The initial six recycle bins – to be dotted around the Kamala coastline – will be funded by the private sector at a total cost of B50,000. The collection of the trash will be done by the OrBorTor, after which it will be transported and sold to fund and maintain the recycling programme. 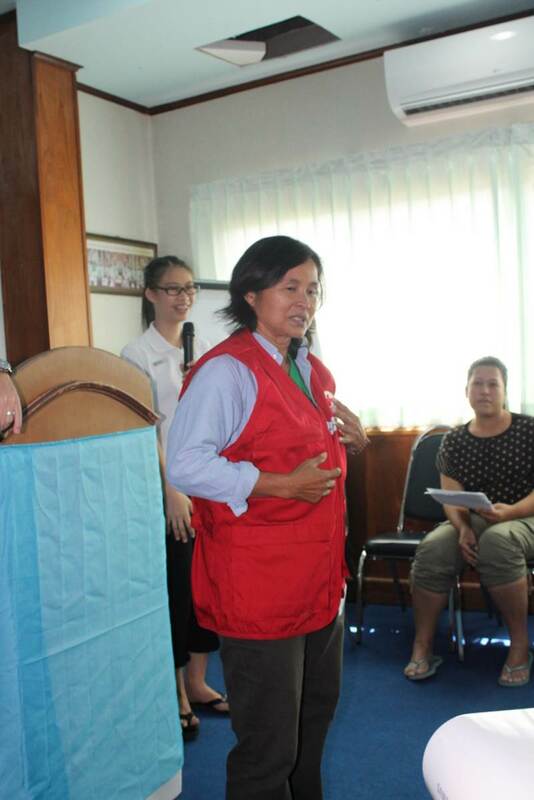 At the meeting, Supasima Sangwan, representative co-ordinator of The Natural Resources and Environmental Protection Volunteer Network (Nev-Newt), spoke of how she promised to continue helping to educate locals and communities about recycling and the environment, to ensure the programme’s success. 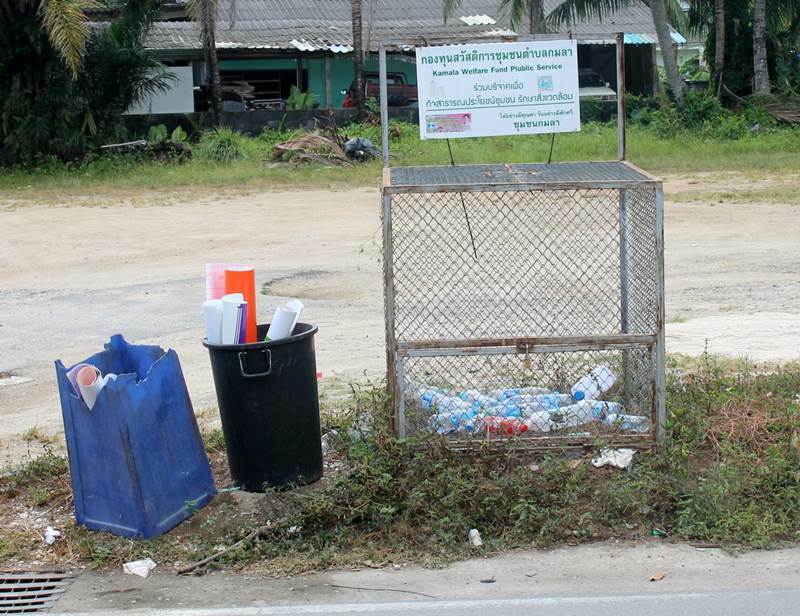 Although curbside recycling stations will only initially be available in Kamala, there are hopes that this could be the start of something much bigger across Phuket. 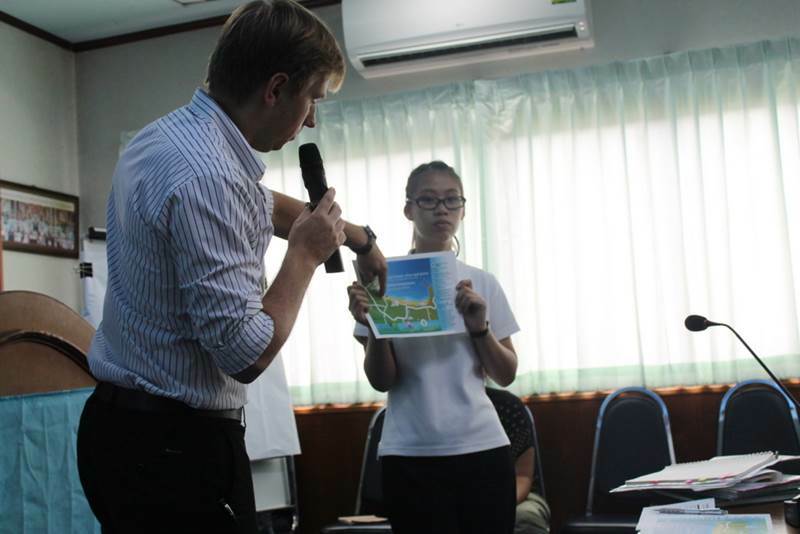 Speaking candidly, Chat Sampon, an officer from the Phuket Provincial Environment Office, expressed his concerns that the programme could be dropped after a few months after the initial excitement.